Kapangpangans are well known for good food and cooking with inventiveness. And Mangan is a restaurant that mirrors this versatility, offering twists on the familiar local cuisine. It is a Kampangan restaurant known for its home-cooked meals. The term “mangan” translates to “eat” in Kapampangan and Ilocano. 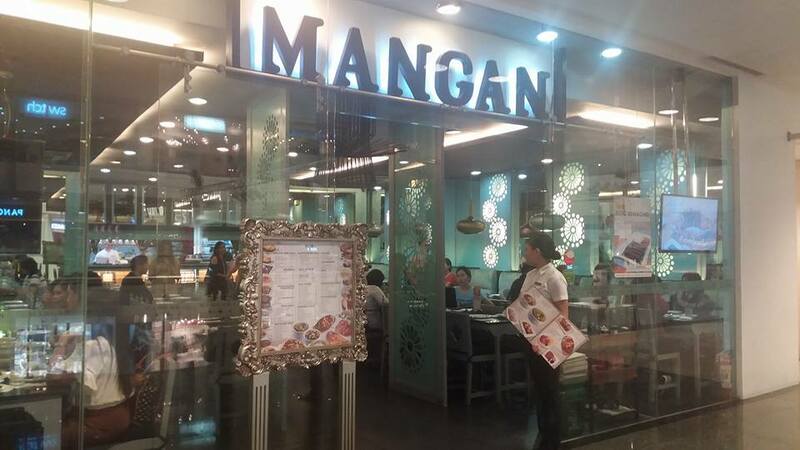 Mangan restaurants can be found in Robinsons Place, Manila and Galleria; SM Mall of Asia, SM North EDSA and in Glorietta. I had a chance to dine in at Glorietta branch last March 8, along with other foodies. We had Crispy Pata, Bulalo, Pork Sisig and Kare-Kare (oxtail cooked in peanut sauce) . Mangan prepares the kare-kare in the same old-fashioned way as Cabalen. Mangan lets you enjoy its crispy pata three ways – Prichon Pata, Patang Demonyo and Original Crispy Pata and I got to taste all three. 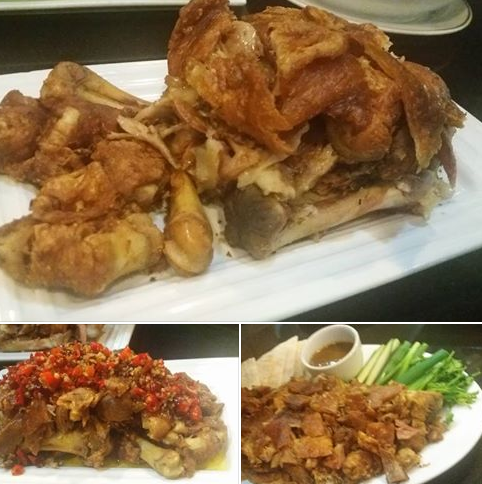 The Crispy Pata variants were cooked to perfection. All are seasoned well, making it tasty all over. And they serve it in generous portions. I really like Prichon Pata. It was crispy all over. I love the skin and its flavorful liver sauce. Patang Demonyo is made hot using local chillies. The heat factor was enough to burn my tongue. I tasted its spiciness even under the skin. For desserts, we had Bibingka and Puto Bumbong. These are types of kakanin (rice desserts) named after their method of cooking. Bibingka means baked. 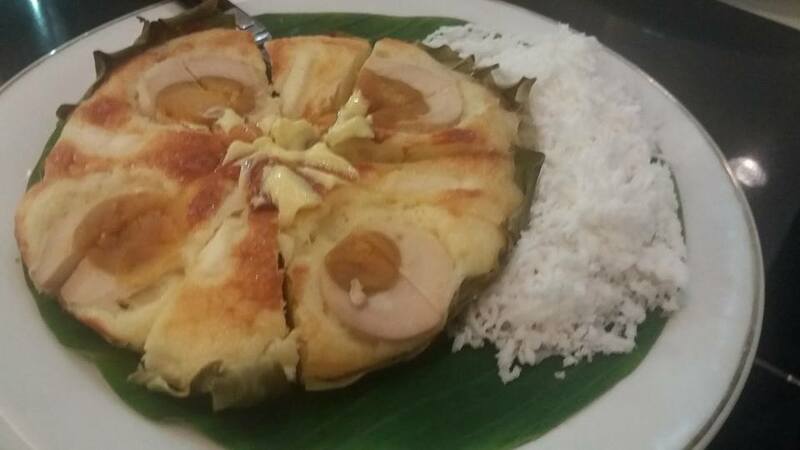 Bibingka is a rice cake made from galapong (glutinuos rice), baked in a special clay pot, lined with a piece of banana leaf. The heat coming from live coals on top and underneath the baking pan cooks it evenly. It is topped with slices of kesong puti (white cheese) and itlog na maalat (salted duck eggs). Puto Bumbong is steamed glutinous rice (puto) cooked in bamboo (bumbong). 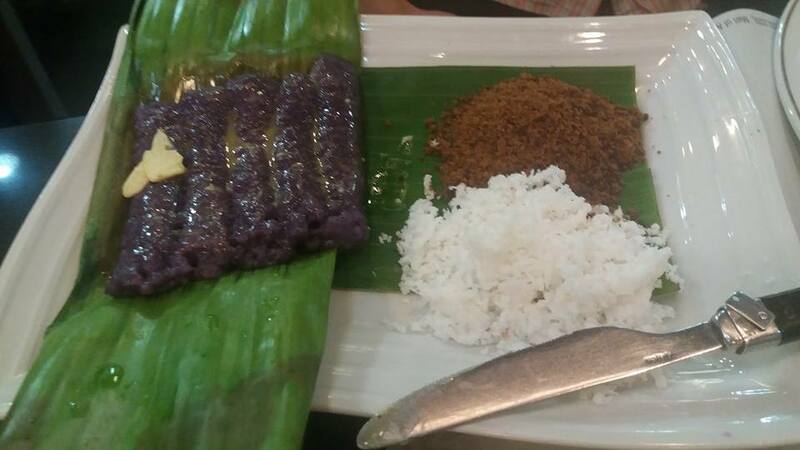 The original recipe uses a combination of malagkit (sweet rice) and ube (purple yam). Once done, it is spread with butter, sprinkled with muscovado sugar (refined brown sugar) and niyog (grated coconut). I so love these delicacies! Overall, our dining experience was good. 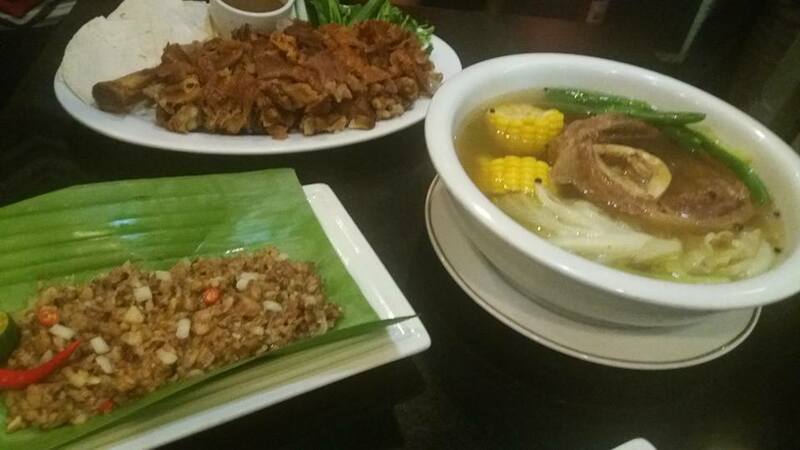 Mangan is the place to go for great Kapampangan and traditional Filipino food that delights!